Filip Waldmann was born on December 25, 1987 in Mělník, Czech Republic. He received his first musical training on the violin at the age of six, and after six years of study, switched instruments to the contrabass. After studying a short time with Pavel Nejtek, he enrolled in 2001 in the class of his father, Jakub Waldmann, at the Music High School in Prague, where he received his diploma in 2007. He then continued his studies at the Anton Bruckner Private University in Linz with Anton Schachenhofer and received his Bachelor's degree in November 2012. Even during his student days, Filip Waldmann was gaining important orchestral experience by playing in national and international youth orchestras (Akademie Svatého Václava, Gustav Mahler Youth Orchestra) as well as by serving as a substitute in the Czech Chamber Orchestra, in the Bruckner Orchestra in Linz and - following a successful substitute audition - in the Vienna State Opera Orchestra. In November 2009, he successfully auditioned for a vacant contrabass position at the Vienna State Opera, beginning his service there on December 1, 2009. Filip Waldmann can also point to extensive chamber music activity and solo appearances. 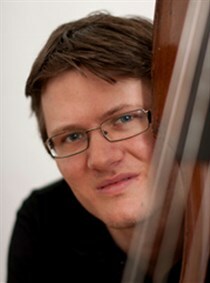 He has won numerous competitions, such as two first prizes at the "Franz Simandl Contrabass Competition (named after the former Philharmonic principal contrabassist) in 2006 and 2008, as well as participation in the ARD Music Competition 2009 and making it to the finals at the Markneukirchen Music Competition in 2011.